London isn't known for good Mexican food—this is abundantly clear after a quick Google search reveals numerous complaints about the lack of this culinary treat in the land of mash. 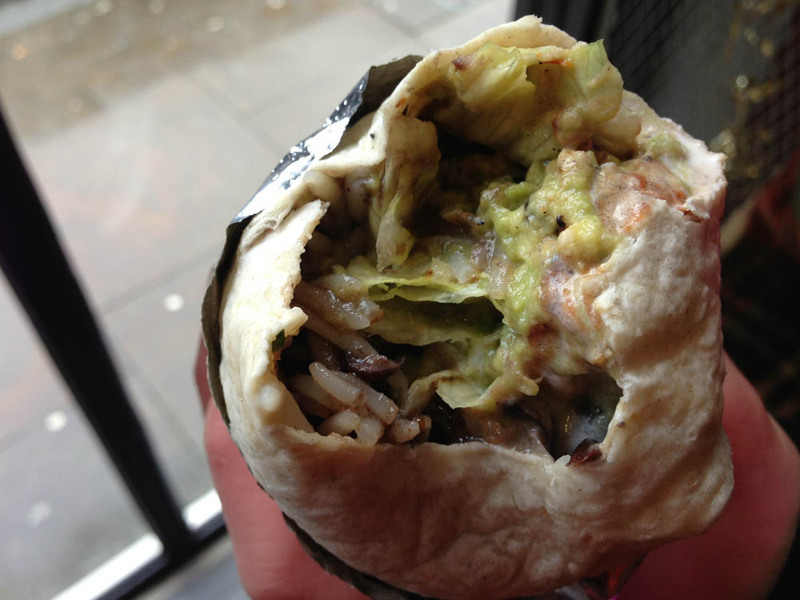 Recently, to many Londoners delight a surge of quality street food has taken the city by storm, and Chilango Burrito is currently rockin' the Mexican spot. As the name suggests they specialize in all things burrito, with a choice of grilled chicken, grilled steak, pork, prawn, and vegetarian topped in numerous ways to your liking. The pork is the most popular on the menu, this isn't pulled pork though, it's roughly chopped, a little fatty, and grilled to perfection. The guacamole is also fantastic, a clincher for most Mexican food lovers, and the soft tortillas are fresh and locally made from the restaurants own recipe. Chilango has clearly done their research, capitalizing on the Mexican trends that have long been established in other major cities and it really shows in the quality of the final product. You'll also find a selection of tacos and salads on the menu, but there's really no choice, go for what they do best—the burrito. If you're looking extra spice you'll need to add hot sauce, the hottest salsa they serve, Chilango, is delicious but not overly spicy. Portions are large and even with a drink under £10.00, a deal in expensive London. All the locations are closed on Saturday & Sunday except the Upper Street location which is open both Saturday & Sunday from 11:30 am-10 pm.